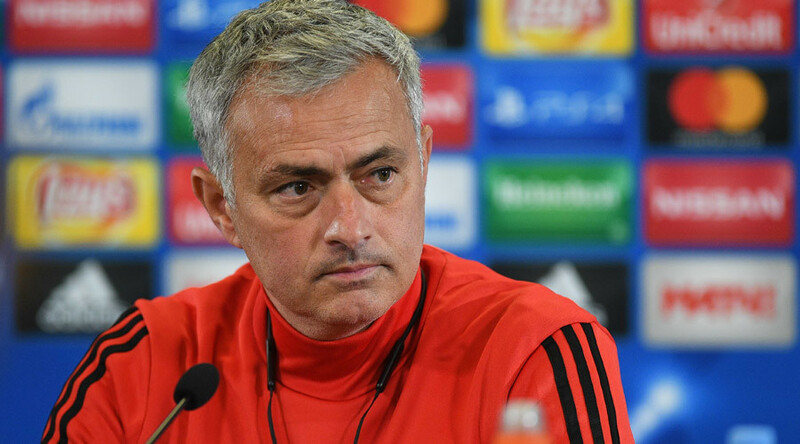 Manchester United have arrived in Russia for their UEFA Champions League Group A match versus CSKA Moscow on Wednesday and manager Jose Mourinho has heaped praise on his side’s opponents. The United boss was answering questions at a press conference at CSKA’s home VEB Arena in central Moscow, ahead of the match tomorrow. 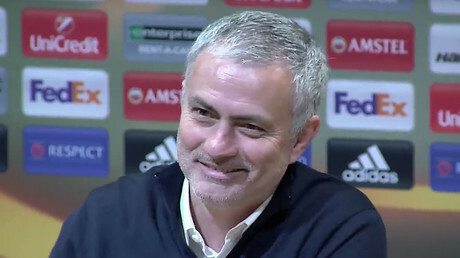 Mourinho, who led United to Rostov in last year’s Europa League competition, has faced CSKA when in charge of Chelsea, Inter Milan and Real Madrid and said it was a “pleasure” to make another trip to Russia. “It is something normal in my Champions League career, to be honest I always like to be back because Moscow is a beautiful city, so every time I come it’s better and better and better so I have to say it’s a pleasure,” the Portuguese coach told reporters. — Danny Armstrong (@DannyWArmstrong) 26 сентября 2017 г. United will be without Paul Pogba, Michael Carrick and Marouane Fellaini for the match tomorrow, the latter was injured in last weekend’s English Premier League game with Southampton following a tackle by Shane Long. Mourinho claimed Fellaini was “lucky” he was not injured for longer, but that he doesn't expect the Belgian international to be out for long, on account of the upcoming international break and his country’s qualification for the FIFA 2018 World Cup Russia. CSKA arguably offer their most potent threat in the form of attacking midfield duo Aleksandr Golovin and Alan Dzagoev, and, while Mourinho did say the current side will be the best CSKA team he has faced as a coach, he insisted he is not focusing on individual battles ahead of the game. “There are three midfielders that we lose for this match, so the solutions are not many. But we try not to focus on individual battles or specific areas on the pitch. We are going to have a team with quality, with balance,” Mourinho said, answering a question from RT Sport. The United manager was sent to the stands during his side’s 1-0 win at Southampton, but has since learned he will face no further action. “There were no reasons for the sending off. I am happy that that was recognized and I can do my work normally against Crystal Palace and that’s enough for me,” he said. Manchester United are unbeaten in all competitions so far during their 2017/18 campaign, having scored 17 goals in six Premier League games, and winning their Champions League opener against Swiss side Basel by a 3-0 scoreline. “We cannot guarantee this line of success but the way to try and keep it is to do what we are doing,” Mourinho said. “We try to play well and in some moments of the match if they have some moments of superiority we have to be humble - as against Southampton - and cope with difficult points of the game. “I think there is an episode in the first half (against Southampton) that could transform a game (Fellaini injury) because we are winning one-nil when that happened because we could have controlled game easily, in the second half we have to be humble. “It is a mixture of quality and being dominant but also accepting the reality of high level football when the opponent has a high level,” he added. The player will not take part in tomorrow’s game, having picked up an injury, but said the trip to Moscow did throw up the opportunity to reconnect with his Russian following from the Armenian diaspora. “Last season we played against Rostov (in the Europa League) and it was great to see Armenian fans with the Armenian flag, I hope they will be rooting for me the same tomorrow night,” Mkhitaryan told reporters. The 28-year-old was instrumental in Manchester United’s emotional Europa League victory last season, scoring the second goal in a 2-0 win over Ajax in the final in Stockholm and says that honor has motivated him to achieve victory in this season’s Champions League. “It was a huge honor to score in the final and this year we are in the Champions League,” Mkhitaryan said, answering a question from RT Sport.